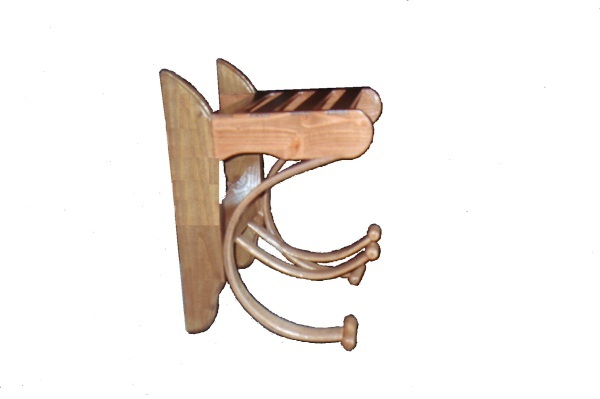 This hat-rack is perfect for any entryway or office lobby. It is a great place to put your bag and hat. It can include coat holders and umbrella hooks if the buyer wishes. The top shelf is 16 inches wide and 12 inches deep.